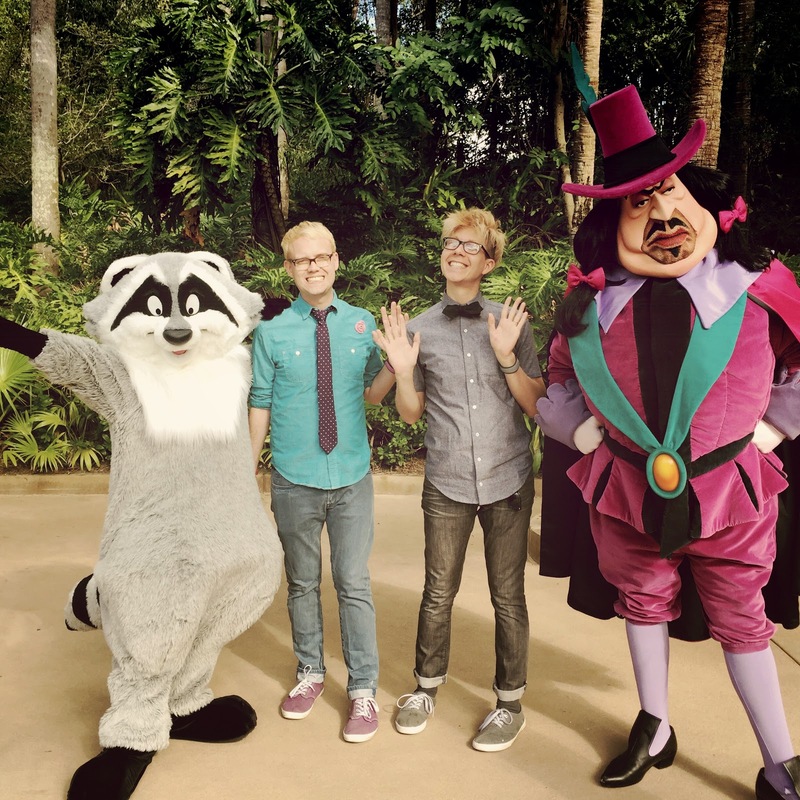 Disney Hipster Blog: We Met Some New Characters! We Met Some New Characters! Mickey's Not So Scary is always a hotbed of activity, especially "rare-ish" characters. 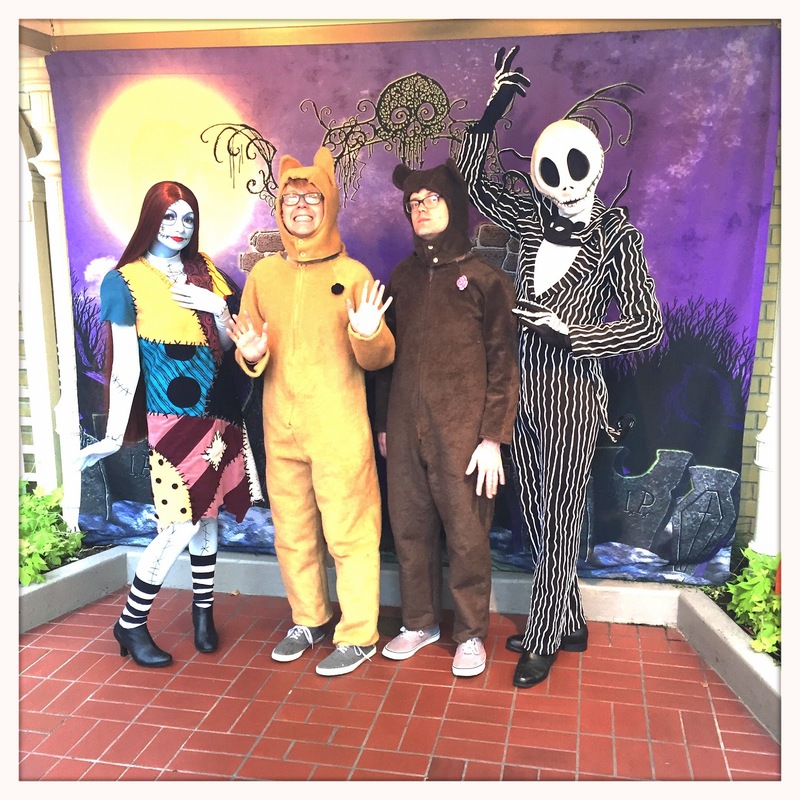 We started by meeting Jack and Sally...though we think their costumes are absolute disasters. These two can garner notoriously long lines, so we showed up about an hour before the party was to start with only about six parties in front of us. 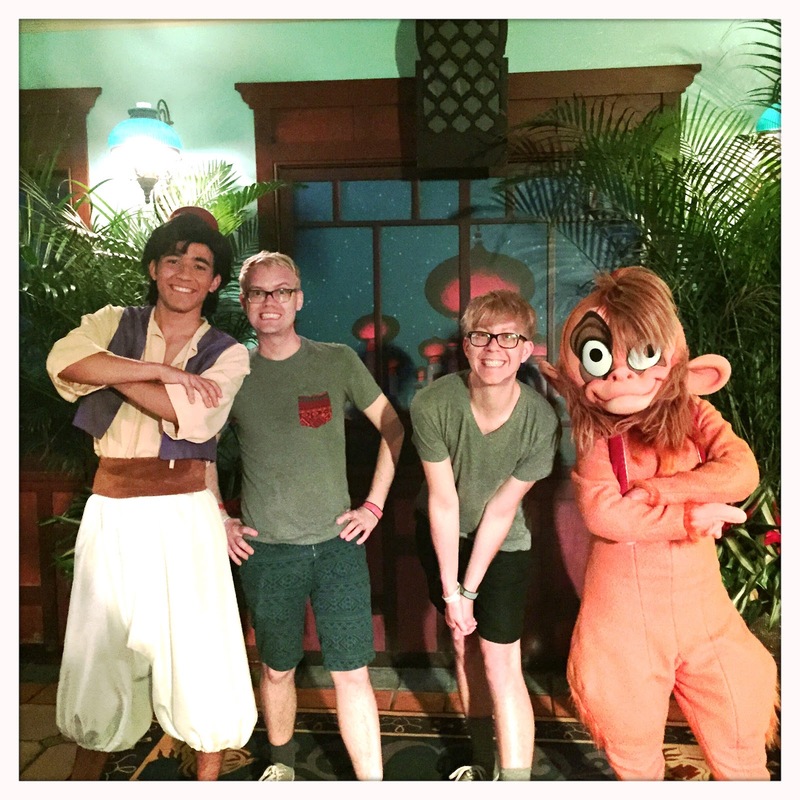 After three separate attempts we were finally able to meet Abu...yes, Aladdin was there as well, but Abu was the main attraction as we had never previously met him. You see, these two rotate with Jasmine and Genie, and no matter how we timed it we always ended up with them. By this point we had taken off our costumes. Furry costumes and Florida humidity? Not a winning combination. Later in the trip we me Princess Sofia at Disney's Hollywood Studios. Shortly after a showing of Disney Jr. Live On Stage there was hardly a queue for her and we didn't hesitate, despite not really wanting to meet her. Fortunately, she is pretty adorable. A surprise highlight of the trip came outside the gate at Animal Kingdom, where Meeko and Ratliff were visiting. These characters can be found here pretty often I'm told, though I had never seen them. They must appear later in the day, when we're less likely to be entering that particular park. This was a super fun interaction, where the characters gladly spent a couple of minutes horsing around with us and being silly. Seriously awesome. Obviously we met quite a few more characters on this trip, but these are some of the new highlights! 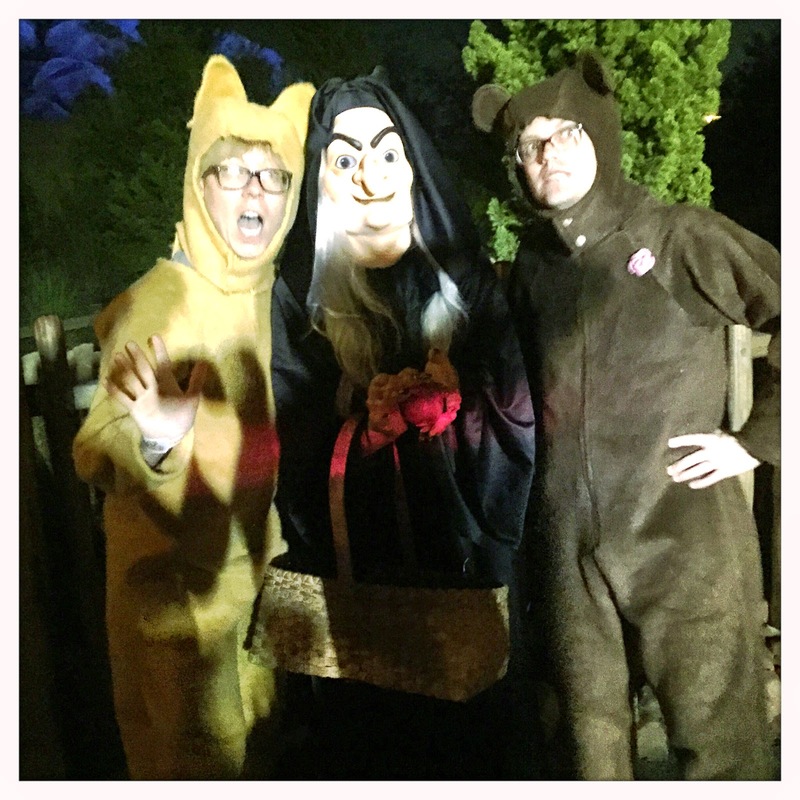 In addition to these we also met Gideon at the Diamond Horseshoe during the Halloween party, but I'm not sure there is photographic evidence. Plus plenty of old favorites. 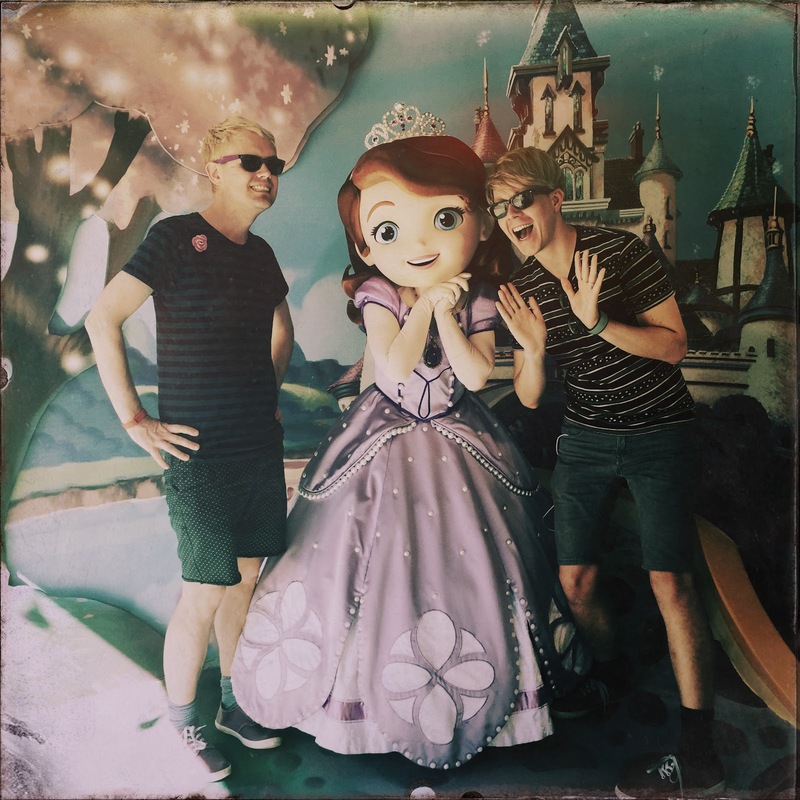 Character meet and greets remains a ridiculous hobby of ours, and adds another level of fun to our Disney World vacations. Aw, this is great!!! I recently discovered your blog, and it's so fun. I'm living vicariously through you all since I have no Disney plan lined up at the moment (argh). Halloween time at Disney World is definitely on my wish list!!!! fun! I have never seen abu out! also...those jack and sally costumes yikes! they look like they could be just attendees of the halloween party. But still fun to meet them since they're rare. Remember that the rest of your room will contain many Disney Princess references - including the bedding - so non-themed furniture is not only okay, it's probably for the best.